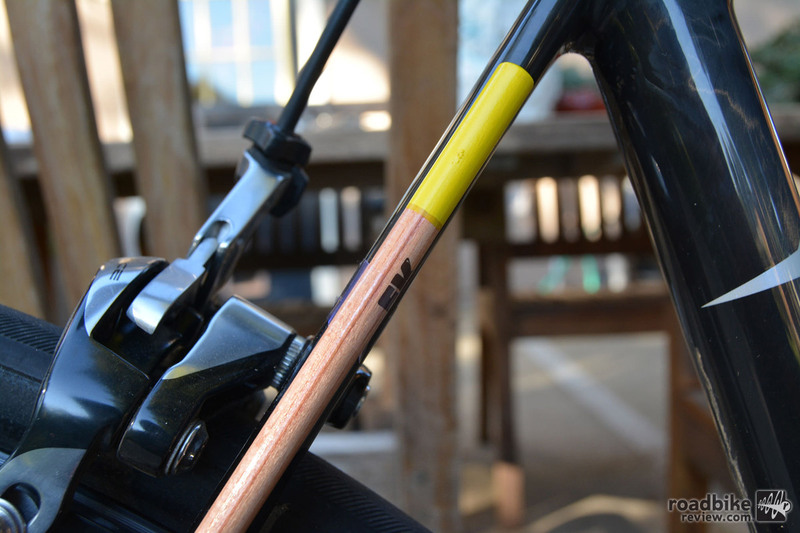 The seatstays are indeed pencil thin (click to enlarge). This is a bike that you can put miles and miles on. It’s stable, accelerates quickly, climbs great, and descends confidently. With each pedal stroke, the bike shoots forward thanks to the frame’s stiffness, light weight, plus the excellent wheelset. 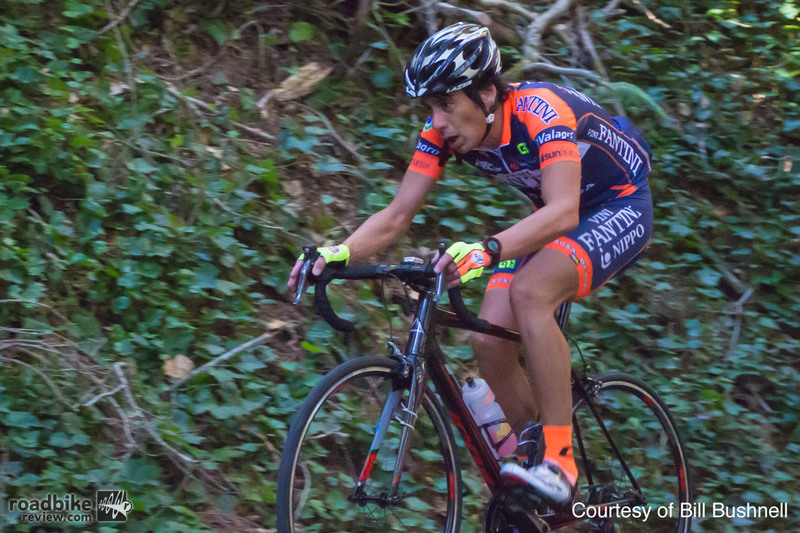 I detected no flex, even when out of the saddle on steep climbs. I rode this bike on a local hill climb race and despite it being just my third time on it, the Fuji SL 1.3 felt like an old friend. In fact, I set my PR for the year that day. Going downhill it didn’t disappoint, either. The handling is responsive and the ride is exceptionally comfortable, with the frame isolating road feedback. Also, unlike some other super-light bikes, it didn’t feel fragile. 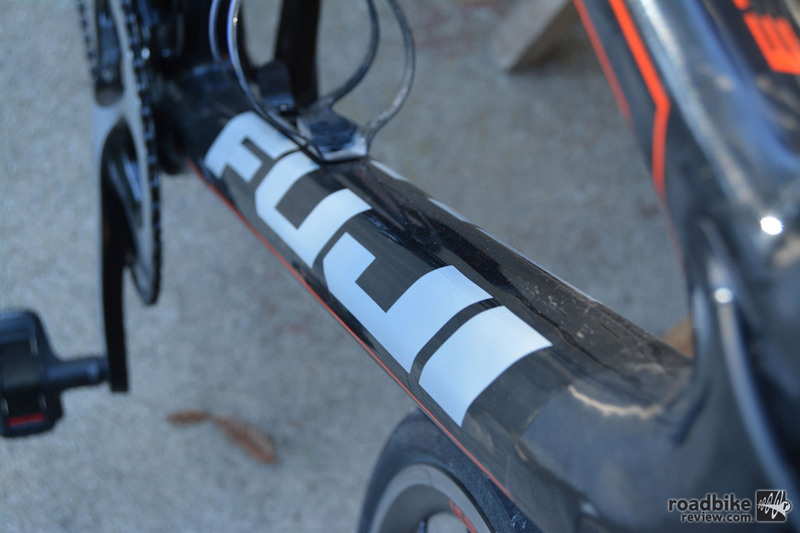 Indeed, this bike actually felt aero. I was able to descend in a tuck passing another group no problem. And it didn’t seem like it was holding me back at 28+ mph on the flats. Even in its lowest position, the bike felt a little more upright than we’d have liked (click to enlarge). This said, while this is a great bike for long days in the saddle, some more aggressive riders may find its ride feel a bit muted. 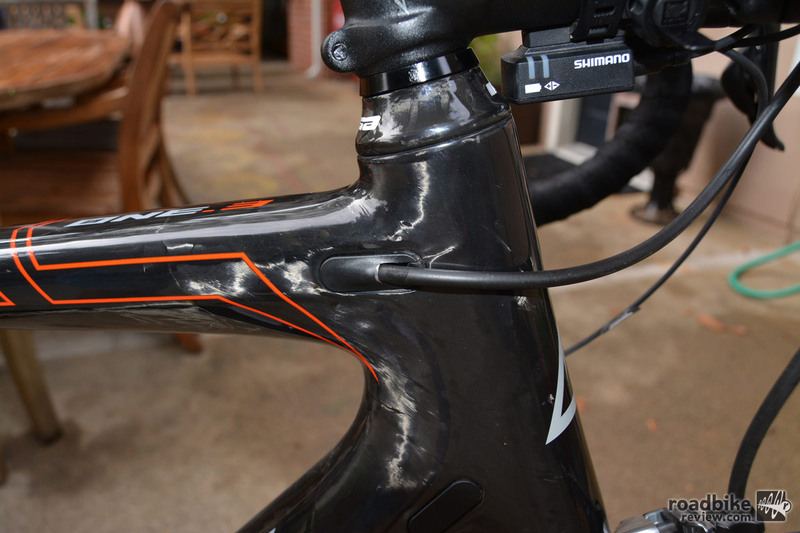 The head tube is on the tall side, which forced me to position the stem in its lowest position. 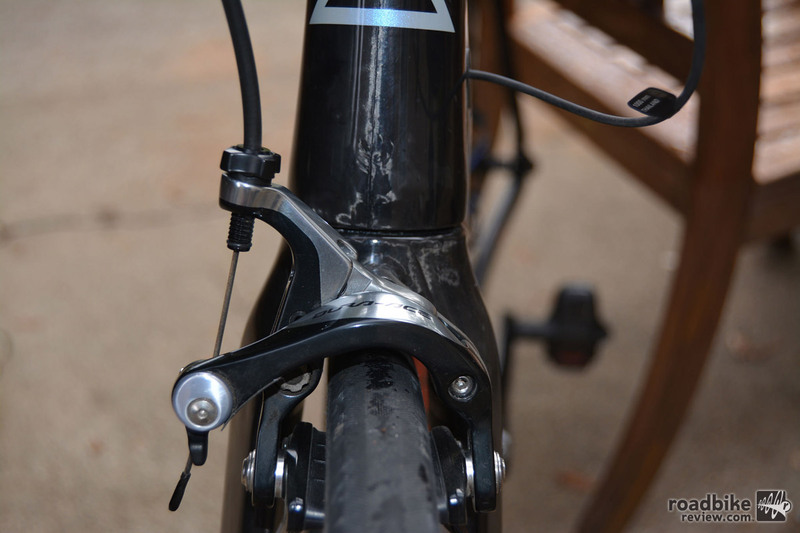 Racer types will likely want to swap on a negative rise stem to get a bit lower. Other quibbles include the saddle, which I found uncomfortable on rides over 50 miles. Also, I wasn’t a huge fan of the handlebar shape, and even experienced some hand cramping during long descents in the drops. Finally, graphics are always a matter of personal preference, but the shiny red-on-black is a bit bright for my tastes. The mid-compact 52-36 chainring set-up is a great compromise between spinning and sprinting (click to enlarge). 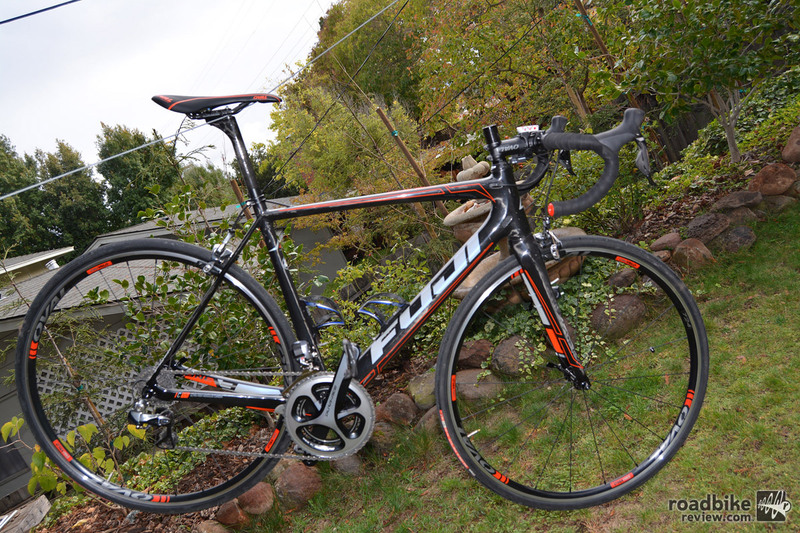 Bottom line, this is a great bike that will provide years of comfort, especially when climbing. The frame is stiff yet comfortable, and it’s draped with an excellent gruppo and wheelset that should make any owner happy for many many miles. And for those looking for the ultimate weight weenie bike, Fuji also offers the SL 1.1, which has the same frame, but an even lighter wheelset and components, which bring claimed weight to 10.91 pounds. Of course, at $10,000, the SL 1.1 doesn’t come cheap. 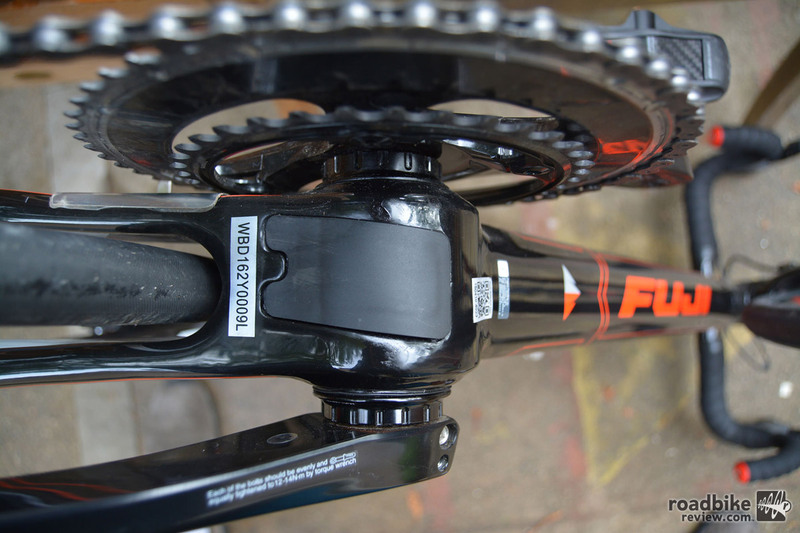 For more information visit www.fujibikes.com and check out the video and photo gallery below. 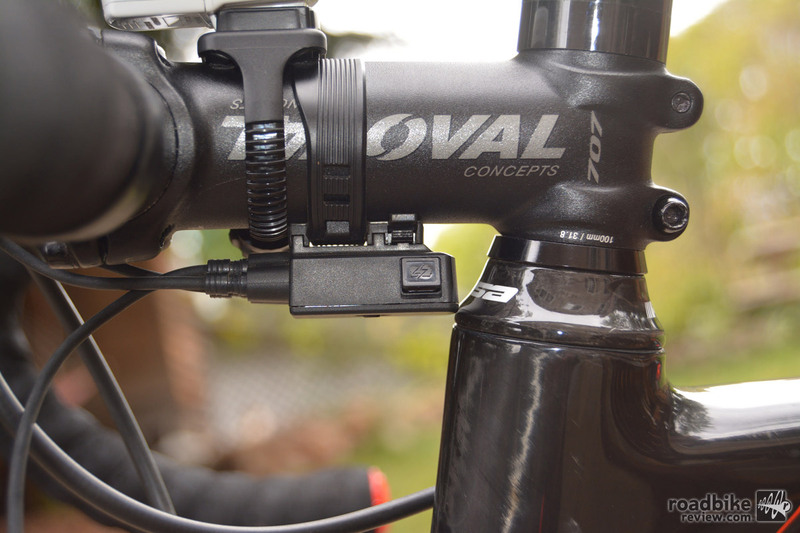 Internal cable routing maintains the bike’s stealth look. Braking is consistent and reliable thanks to the Oval wheels’ alloy brake track and Shimano Dura Ace 9000 brakes. Even in its lowest position, the bike felt a little more upright than we’d have liked. 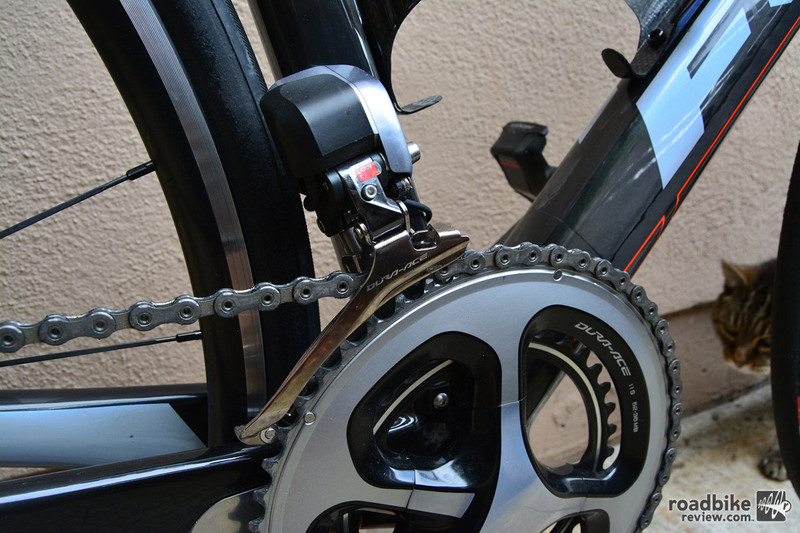 Shifting on the 11-25 cassette is flawless thanks to the Shimano Dura Ace Di2 drivetrain. 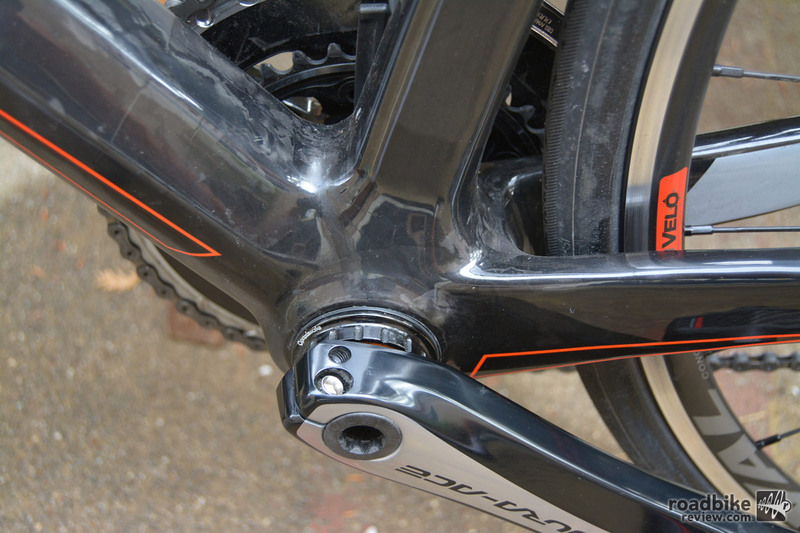 A removable plate on the underside of the bottom bracket aids in cable routing. 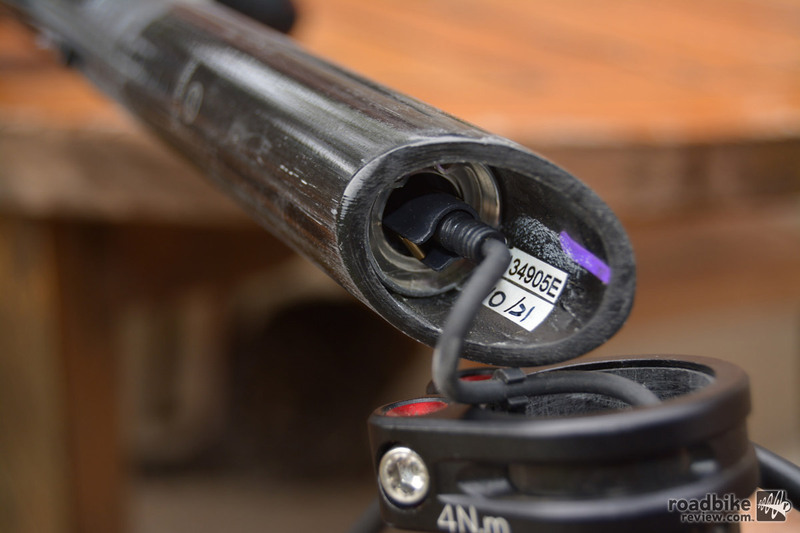 The Shimano Dura Ace Di2 battery is housed inside the seatpost. The author on his way to a new hill climb PR. The massive downtube net an efficient and responsive ride. The seatstays are indeed pencil thin. 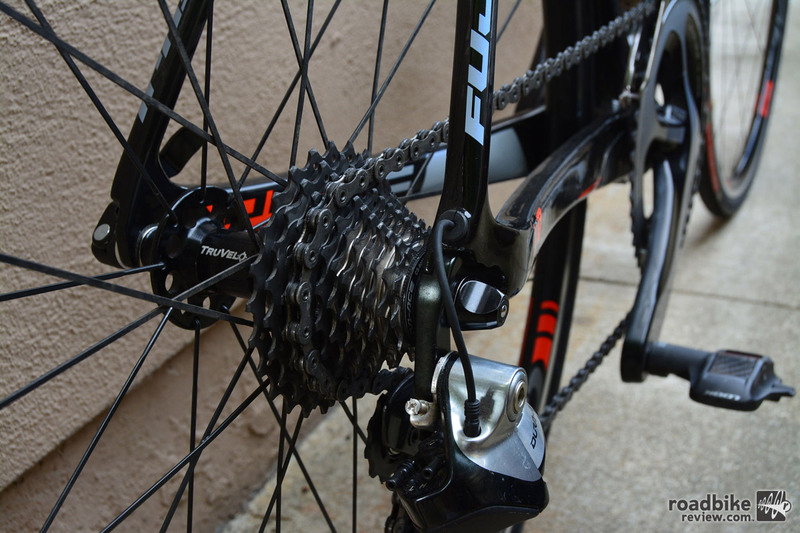 The mid-compact 52-36 chainring set-up is a great compromise between spinning and sprinting. An oversized BB area enhances power transfer. So light you can hang it on a clothesline.